Billboards promoting new video games aren’t usually that memorable. They lack impact! Not this, though. It’s terrific. This billboard has gone up in Tokyo’s Shibuya to promote Final Fantasy XV’s release. 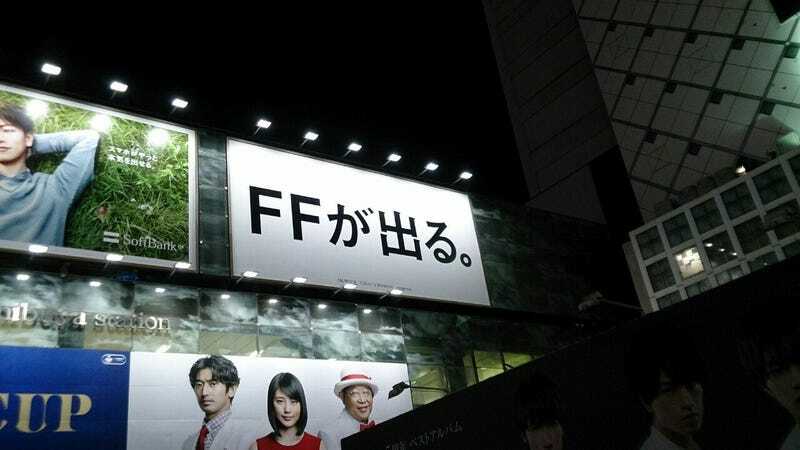 It simply says, “FF Is Coming Out” (FFが出る). That’s all it needs to say. Love how simple and to the point it is. Only if you get up close can you see Final Fantasy XV’s release date in fine print.